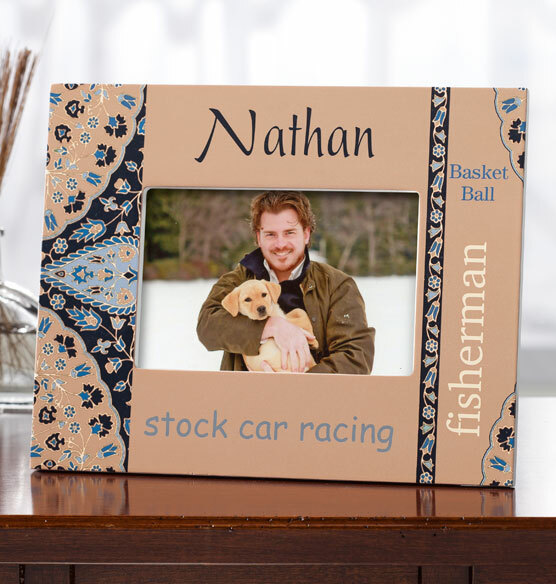 Whatever hobbies or activities they’re into, this Bandana personalized frame expresses their individuality in a one-of-a-kind way. Inspired by the classic paisley of a bandana, it’s a fun way to create an homage to a special someone. In a unisex design printed with a name plus four more lines, it’s a creative way to celebrate a loved one’s passions and characteristics. Makes a personal gift. 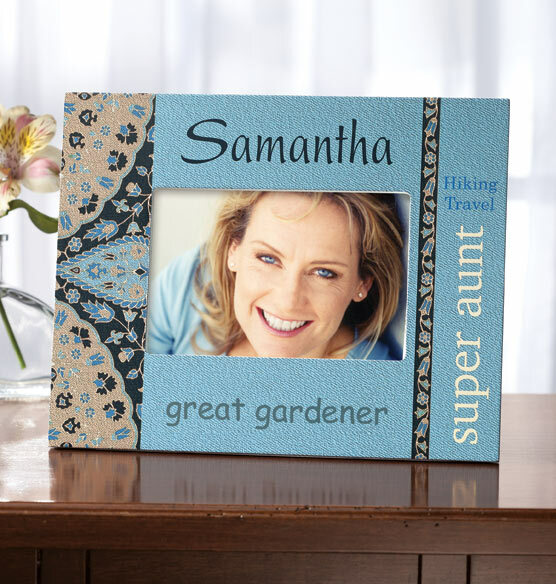 I was looking for a frame for a special picture, I wanted it to be Unique. I searched multiple sites for frames and none appealed to me. The frame had to be original, quirky and match my personality. I came to this site on a whim, saw this frame and it grabbed my attention. I grew up in the 70's and & 80's so the Bandana Motif was nostalgic and perfect. I Love it. which line is which number? BEST ANSWER: Thank you for your question. Please see below as to which line is which compared to the photo. We hope this information will be of help to you.